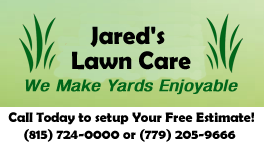 How much does it cost to hire a yard clean-up service? A well landscaped yard improves the look of your home and gives you a sense of pride. However, if the yard is littered with all kinds of clutter, debris, and trash such as dry leaves shed in summer, fallen tree limbs, and other debris carried and covered by snow in winter, it becomes an eyesore and must be cleaned to prevent it from becoming a rotting mess. Cleanup should be done at least once a year, most preferably in fall, immediately after summer, or in spring immediately after winter when there is the greatest accumulation of litter. Homeowners can either hire firms or individuals to carry out the clean-up activities, or undertake the work themselves, as long as they have the time. However, as with any other project, a specialized team or individual will add a professional touch to the service and relieve the homeowner from the hectic work of rubbish collection and disposal; especially if one has to haul it using their personal car. Leaves constitute most of the yard trash and their quantity is a major factor in determining cleanup cost. The greater the quantity of leaves, the more you pay. So, you ought to give the cleanup firm enough information about the number of trees on your property to get the most accurate quote. The removal methods also vary in prices e.g. blowing costs around 10$-30% less than manual picking, however you should be cautious not to blow the leaves to a neighbor’s lawn. Vacuuming is around 30%-50% more expensive than blowing and can combine chopping the leaves and applying it to a garden as mulch 1, which can increase the cost by 30%-50%. Snow during the winter can destroy decorative plant and mulch 1 beds, along with their borders, calling for re-edging, redefining the borders of the bed, and reseeding damaged parts. For a perfect job, you should consider hiring a landscaper for $45-$75 per hour for not more than 5-8 hours. Your lawn needs occasional weed removal for good health, and it’s done either by pulling up weeds by hands, by using a hoe, or by the application of a chemical weed killer. To hire someone to manually remove the weeds, be prepared to pay around $25-$50/hour per person for the work for around 1-5 hours for an average sized lawn depending on its condition and location. Using a hoe for the same job can cost up to 20% more than manual removal, but it does a cleaner job. The use of chemicals can be a sensitive affair due to the safety precautions required, but can cut the cost of weed removal by 30%-70%. Rain and snowfall can drag all types of trash into your yard, sometimes hiding it beneath the snow. To remove this clutter you need around 1-5 man-hours at around $15-$30 per hour, but the cost can increase significantly if there are large items, such as fallen trees on site. Shrubs are trimmed to remove unsightly, dying limbs and give room for new growth. This is done in spring cleanup after the weather warm up. You need around 1-3 man hours for a good pruning job, at a rate of $45-$70 per hour. Professional companies charge differently for cleanup services depending on the location. Services are generally cheaper in country and peri-urban area, but higher in a major metropolis. In the same location, lawn cleaning services are priced according to property size, the amount of work involved, the type of equipment used, and the period available to finish the job in. It costs around $200 to $1,200 for a yard of ½-¾ acre, depending on the complexity of the and the time it takes. Professional landscapers charge $45 to $70 per hour. Some companies can give you a quotation for a one-time site visit, according to the equipment and workmen they bring. The one-time visit is usually $200 to $300 minimum according to your yard size.